Black Plague is an exploration-based adventure game that takes place from a fully 3-dimensional, first-person perspective. Although the game is presented as a first-person adventure game, it also contains elements of first-person shooter and survival horror gameplay. Gameplay features a mixture of exploration and solving physical puzzles (the Newton Physics engine allows for many physics puzzles). Combat has been heavily de-emphasized. Players will no longer be able to acquire melee weapons or create makeshift traps to fight enemies with. Instead, the emphasis is on the use of stealth and fleeing to avoid attacks by enemy creatures." 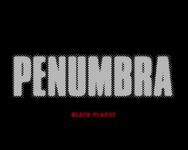 Source: Wikipedia, "Penumbra:_Black_Plague," available under the CC-BY-SA License.